Designed for street 400-425-455ci Oldsmobiles. Ideal for cars, 4x4s, tow vehicles, RVs and boats. Includes exhaust crossover plugs p/n 350-2733 which must be used for marine and off-road use. Carb pad height: 4.95" Click here to determine carburetor pad height. Manifold has no provision for OEM choke operation. 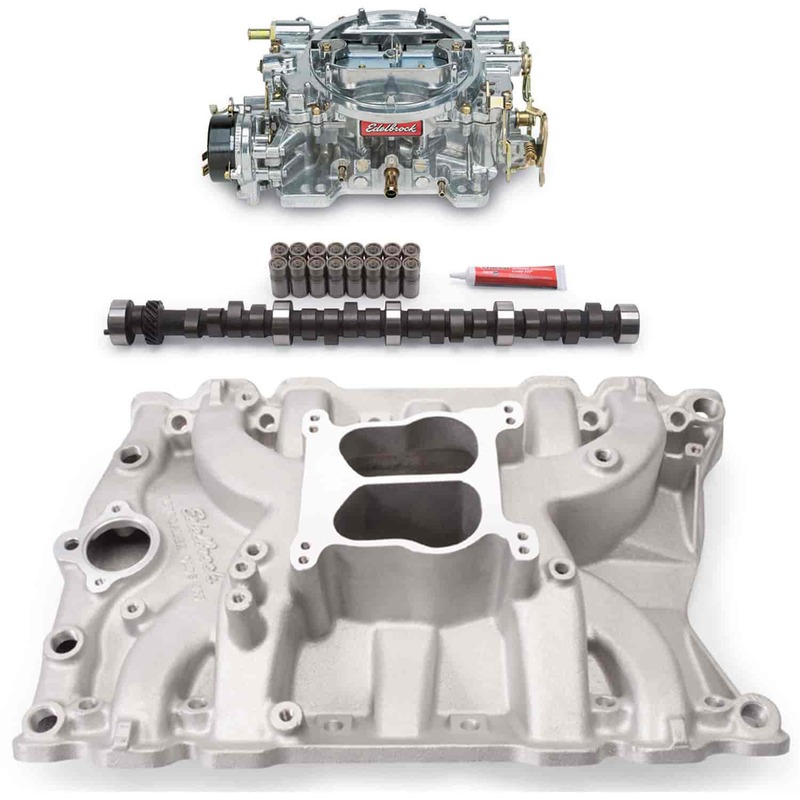 OEM carb will require conversion to electric or manual choke. Will not fit Toronado or 4-4-2 Ram-Air scoop without hood modification. Note: Will not fit Toronados or 1966 and earlier 400ci engines. This is made for the more popular 45 degree lifter angle.